Any Product which has been altered in any way, improperly installed, or not used for its' intended purpose. Alanis Deals does not warrant that the Product will be free from non-substantial design defects or errors. Material : Rubber Hose Steel Line. To confirm that this part fits your vehicle, enter your vehicle's Year, Make, Model, Trim and Engine in theCompatibility Table. This part�s position is Gear To Pump. 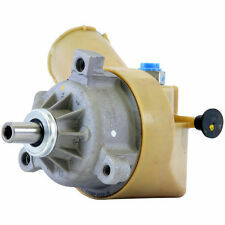 "AC Delco Power Steering Pump --. Series : AC Delco OES/OE Service. Designed to re-enable power-assisted steering function. Condition : New. Therefore all implied warranties that may apply to your part are limited to the duration of this written warranty. Trending at $118.64eBay determines this price through a machine learned model of the product's sale prices within the last 90 days. "AC Delco Power Steering Hose --. Condition : New. Therefore all implied warranties that may apply to your part are limited to the duration of this written warranty. Each warranty gives you specific rights, and you may have other rights which vary from state to state. "AC Delco Power Steering Pressure Line Hose Assembly --. Series : AC Delco Professional. ACDELCO PROFESSIONAL POWER STEERING PRESSURE LINE HOSE ASSEMBLIES. Notes : 0.63 in. Condition : New. Premium, ultra-tough design for superior longevity. 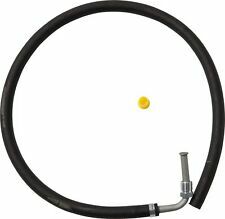 "AC Delco Power Steering Pressure Line Hose Assembly --. Series : AC Delco Professional. ACDELCO PROFESSIONAL POWER STEERING PRESSURE LINE HOSE ASSEMBLIES. Notes : 0.71 in. Hose material : Rubber and steel. 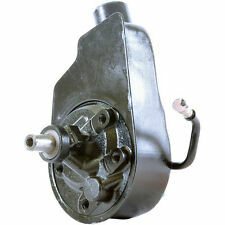 "AC Delco Power Steering Pump --. 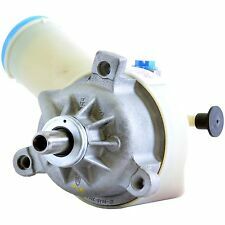 AC DELCO POWER STEERING PUMP. Condition : New. Therefore all implied warranties that may apply to your part are limited to the duration of this written warranty. Each warranty gives you specific rights, and you may have other rights which vary from state to state. "AC Delco Power Steering Hose --. Notes : Kit components - 2 Power Steering Hoses. 2 Power Steering Hose. Quantity sold : Set of 2. Therefore all implied warranties that may apply to your part are limited to the duration of this written warranty. "AC Delco Power Steering Pressure Line Hose Assembly --. Series : AC Delco Professional. ACDELCO PROFESSIONAL POWER STEERING PRESSURE LINE HOSE ASSEMBLIES. Notes : 0.63 in. Hose material : Rubber and steel. "AC Delco Power Steering Pressure Line Hose Assembly --. Condition : New. Therefore all implied warranties that may apply to your part are limited to the duration of this written warranty. Each warranty gives you specific rights, and you may have other rights which vary from state to state. 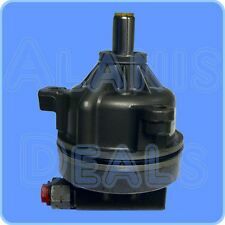 "AC Delco Power Steering Pump --. Designed to re-enable power-assisted steering function. Condition : New. Therefore all implied warranties that may apply to your part are limited to the duration of this written warranty. "AC Delco Power Steering Hose --. Notes : 0.63 in. Condition : New. Therefore all implied warranties that may apply to your part are limited to the duration of this written warranty. Each warranty gives you specific rights, and you may have other rights which vary from state to state. 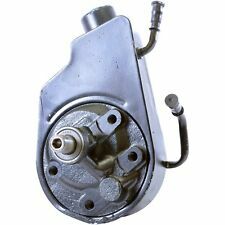 "AC Delco Power Steering Pump --. Designed to re-enable power-assisted steering function. Condition : New. General Warranty Limitations (Applies to all Product Warranties). The warranty is subject to the General Warranty Limitations below. Series : AC Delco Professional. Condition : New. Premium, ultra-tough design for superior longevity. 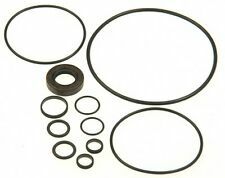 Specially designed for specific vehicle applications ". Therefore all implied warranties that may apply to your part are limited to the duration of this written warranty.